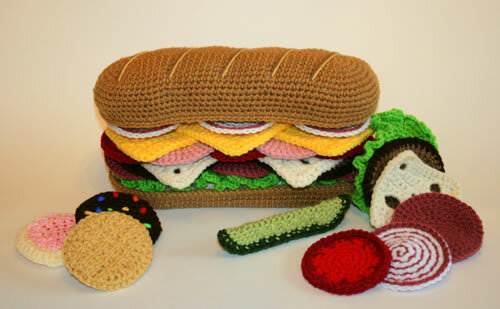 Seeing this crocheted sandwich makes me hungry for a hoagie. Etsy seller Candypop Creations is crazy for crocheting and it shows with this foot long sandwich I’m just dying to sink my teeth in to. All I’d get is a mouthful of yarn, but with a vivid imagination that yarn could taste like my favorite sandwich from DiVellos Deli. What the hell is that black thing with the multi-colored dots? It looks like a burn Keebler M&M cookie. Dude, someone’s mom must have the munchies!